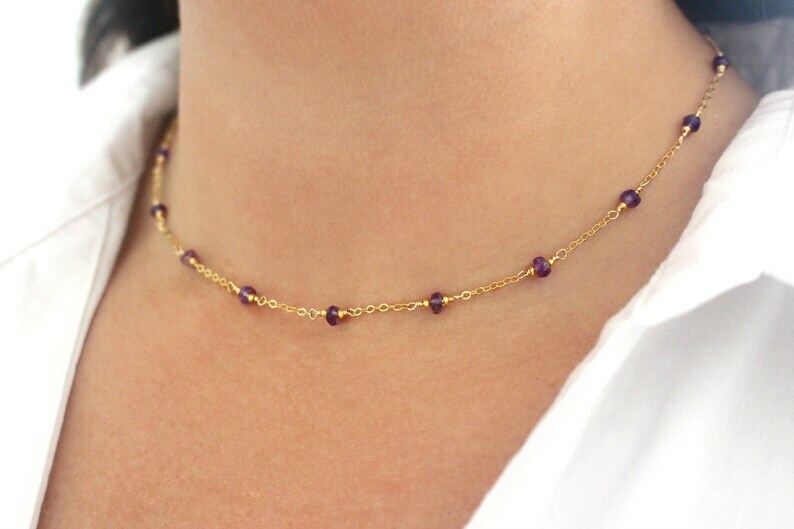 Gleaming amethyst gemstones dot this dainty gold necklace, especially designed for layering. The genuine amethyst gemstones have been set on 14k gold filled wire alongside tiny faceted 24k gold vermeil beads. 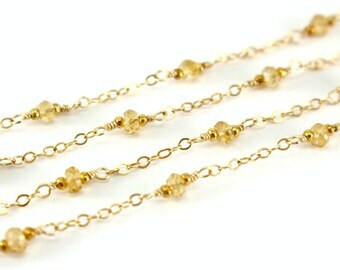 They are evenly spaced by dainty yet strong 14k gold filled chains. 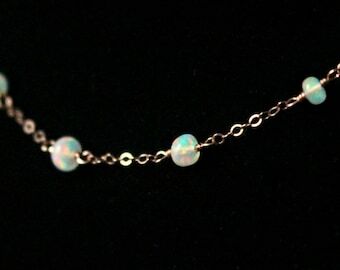 This necklace has been finished with a 14k gold filled clasp. Please select your desired length when checking out. 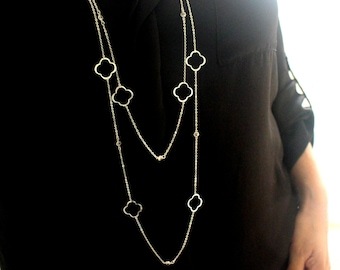 The necklace displayed in the photos is adjustable between 17 - 19 inches. 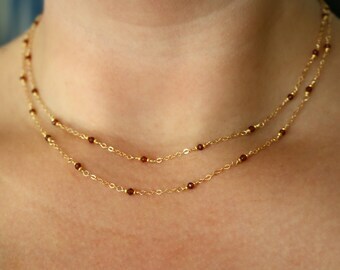 Necklaces shorter than 23 inches are adjustable between the lengths listed. They are made with a 2 inch gold filled extender chain to help you find a comfortable fit.